In the summer, we eat lighter, fresher, brighter tasting foods. 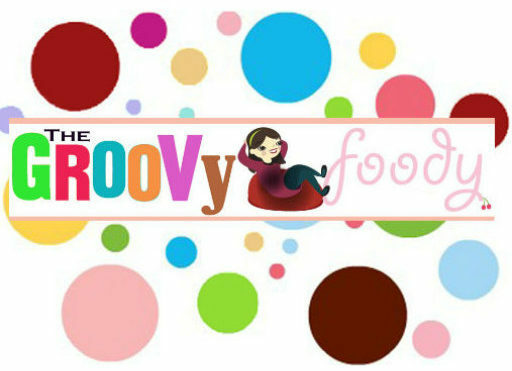 Seasonal eating for summer is a wonderful way to take pleasure in the moment and to give your body a break from so much of the rich heaviness that brings comfort in the cold in winter. There are many dishes I like to make and equate instantly with summer (like zucchini patties topped with lime, greek yogurt and mint; chicken and lamb kebabs; BBQ short ribs; grilled flank steak served with Fuul topped with diced tomato and feta, sliced avocado, and corn, red pepper and jalapeno; and watermelon, cucumber and red onion salad with orange champagne vinaigrette — mmmmm, soooo many!) But one of my favorites is Thai Larb Salad. 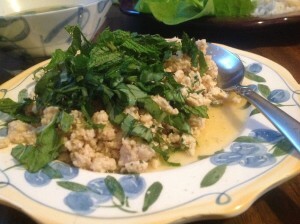 While I enjoy both the pork and chicken versions of this dish, tonight I decided to opt for making chicken larb. Because I wanted to make my version kid-friendly, I’ve tailored my larb to have less heat but still be just as flavorful and authentic tasting as the larb you may have enjoyed at your local Thai restaurant. And trust me, your kids will love this! You can even give them their lettuce or cabbage leaves and let them fill them with the meat themselves — this makes for a fun, though admittedly messy time, they’ll enjoy! I will also note the additions you can make to your larb to bring back the heat you may enjoy. Below I’ve included a quick Cliff Notes kind of version of the history of the dish, if you’re curious. If you’re not, feel free to skip on down to the recipe. Enjoy! 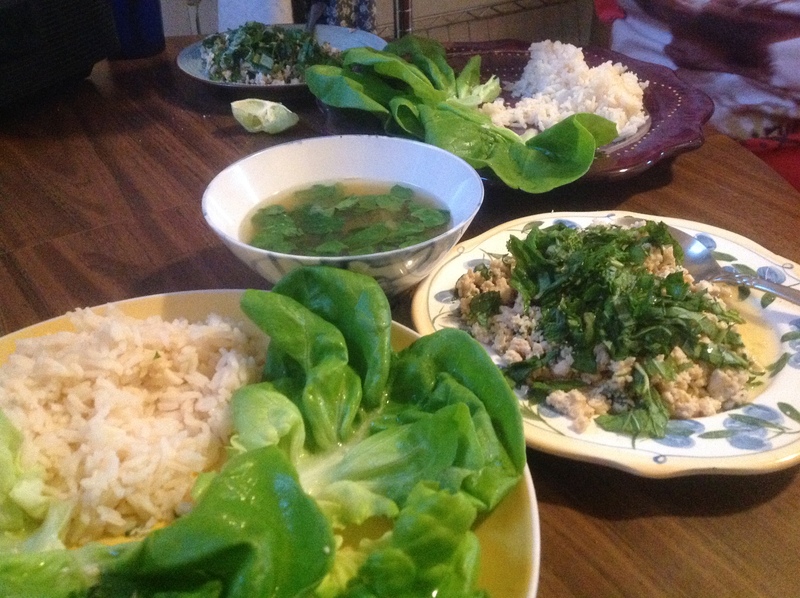 Also called larp, lap, laab or laap, Larb is a meat salad which can be made with pork, chicken or beef (I’ve never made or had the beef version.) Though this dish is popularly served at Thai restaurants and a favorite in Northeast Thailand, the dish is believed to have originated in Laos and is in fact considered to be the national dish of Laos. It’s a dish that was traditionally prepared for Laotian farmers in the morning to take in their lunch. Though larb has many variations, besides the variety of meats that can be used, the most interesting is the Australian Kangaroo version prepared with slices of fresh kangaroo meat. 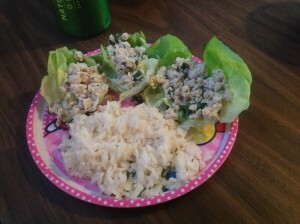 Of all the ingredients in larb (the ground meat, the tart and salty combination of lime and fish sauce [nam pla], the crispy cabbage or lettuce leaves) I think the key to getting that authentic bite to your chicken larb salad is making sure to top it with roasted, ground rice and a chiffonade of flavorful green herbs like mint, Thai basil and cilantro. 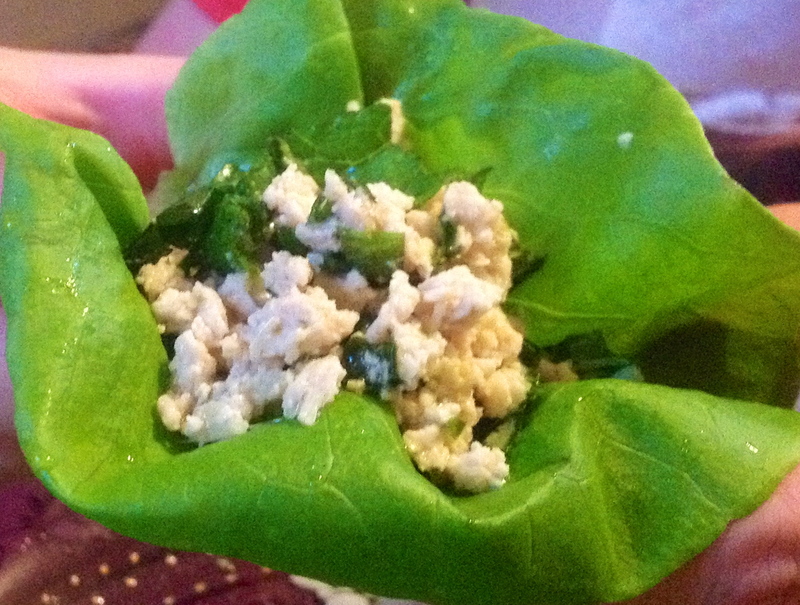 We like our larb juicy, which means, leaves dripping with the light and tangy sauce, for extra zing! 1 1/2 Tbsp of rice, dry toasted in a hot pan until golden and then ground in a coffee grinder until fine. Serve on freshly washed and chilled, butter leaf or romaine lettuce or cabbage leaves. Serves 4. Put the raw chicken breast, grated ginger and smashed garlic into your food processor (or use ground chicken or mince finely by hand) this works the garlic and ginger into the meat as it’s chopped, giving it more flavor. (Shallots can be added at this time as well.) Once finely chopped, transfer it to a hot skillet with the coconut oil on med high heat to cook. Stir continuously, breaking up the meat as it cooks and ensuring even cooking. 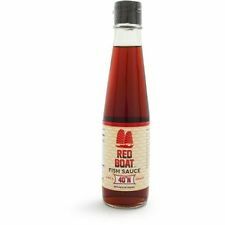 When it’s done, turn off heat and add 1 Tbsp soy sauce or coconut aminos and 1 tsp fish sauce, stirring to cover evenly and then cover with a lid to keep warm as you assemble the rest of the ingredients. Make the sauce by mixing all ingredients and adding it to the warm meat, along with your cilantro, right before serving. Pile the meat on lettuce or cabbage leaves and serve topped with sprinklings of ground toasted rice, mint and basil. NOTE: If you’re going hotter, you can add more toppings like thinly sliced red onion, chopped green onion and Thai chile peppers to spice things up some more! Mmm . . . have a bite!